“EV direct did the job very well,on time and followed through with grant applications. I purchased and had installed a Flo X5 EV charger from EVdirect. Fortunately my electrical panel had a spare location for the connection. However, with the panel on the opposite end of my home from the location of the charger to be put in my garage the location of the line was tricky, but the EVdirect electricians were able to run the line through the house with virtually no damage to existing walls, ceilings, etc. EVdirect arranged the ESA inspection for the following week which passed without issue and made the rebate application. The Flo unit while not inexpensive is wifi connected and tracks consumption allowing me to keep track of the electricity usage to charge the vehicle. In general, I am pleased with the service of this company and would recommend EV Direct. I haven't actually used the charger yet (just got the car last night) but the service from your guys was great and the inspector was complimentary about the installation. I'm sure it will work fine. I would certainly recommend EV Direct to anyone who needs an EV Charger at home. 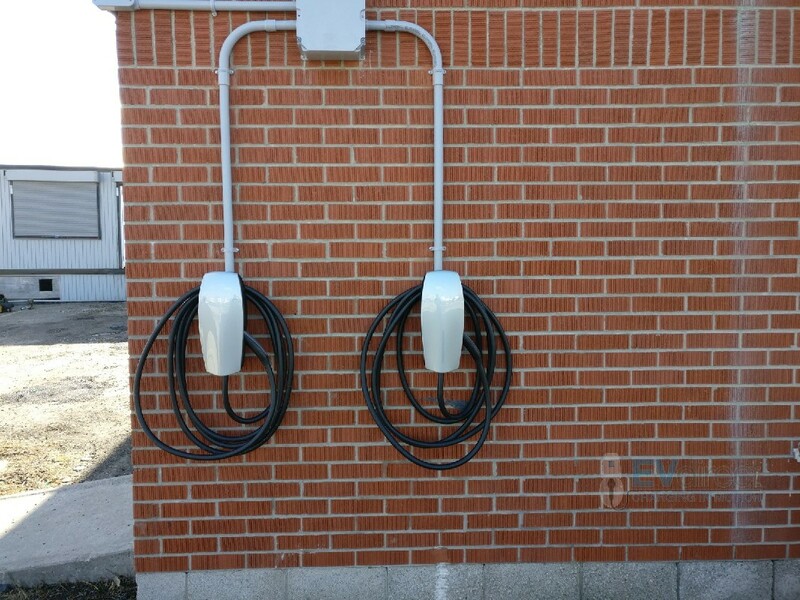 I wanted to install a Tesla Wall Connector in my garage, and contacted 5 companies. EV Direct was prompt, no hassle with the original quote. (Not to mention the quick turnaround for additional quotes, when I requested changes.) The price was one of the best on the market. They scheduled the installation very quickly and the people showed up as promised. The installation was quick and painless, they did everything as expected, no mess and they even cleaned up after. It is a very neat install of the charger in my garage. The ESA inspection was scheduled on the day after, and it passed with flying colors. Sharon has even volunteered to do the application for the Ontario Charger EVCIP rebate, which she did promptly after my car was delivered and all required paperwork was available. All in all, it is a great company to deal with, quick turnaround, diligent follow up, and quality work from both the office (Sharon) and the technicians. It made my EV experience great so far! Thanks a lot! 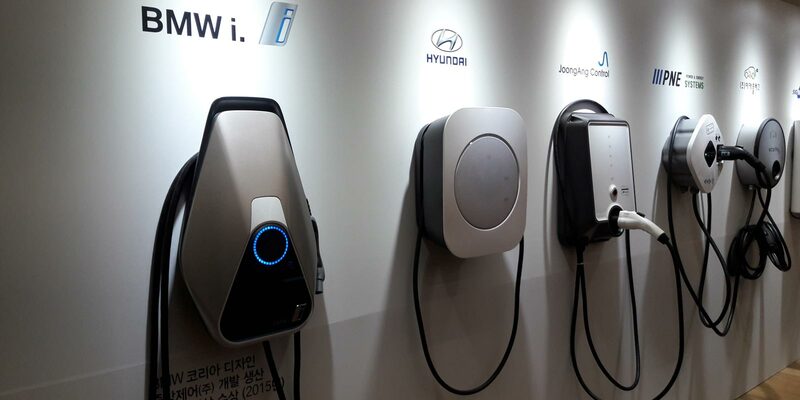 Don't hesitate to give them a call if you need an EV home charger! EV Direct were a pleasure to work with. Sharon answered all my many question. The quote they gave was fair. The electricians were very knowledgeable about the device they were installing and did a first class job. I highly recommend them. Very responsive and professional. I used the website to get an estimate with follow up via email. Flexible scheduling for the install and inspection. Overall exceptional service. From top to bottom my experience working with EV Direct was outstanding. I'm a freak when it comes to customer service since I'm in that industry so my standars are always high and they surpassed them. It's hard to believe that a company that probably deals with lots of transactions a day has the personalized approach of a small business. I will 100% recommend them to everyone. The technicians were great and they installed my new Tesla charger exactly where I wanted it with minimal disruption. Very efficient! Information provided was up front and all the costs discussed beforehand. Company took care of booking electrical inspection on the same day as the install and even submitted the paperwork for our government reimbursement. High quality work and so punctual and responsive. Great work. We asked a couple of contractors for a quote. Nuno came up with the best way to install the line from the house to the garage (in order to hide the cable) and the EVDirect team executed perfectly! Fast, efficient, knowledgeable and reasonably priced.